O2 Derm PET is a simple, pure gel for relief of general skin irritations and pain management in pets. It is abundantly rich in molecular oxygen. Molecular Oxygen is known to promote healing of skin and contribute to muscle ache and joint relief. The story of O2 Derm PET and Derm Creations is not the tale of a large veterinary or pharmaceutical company manufacturing a new chemical product. Instead, the history of the pet relief gel that takes oxygenation to a new level began in the small Pennsylvania town of Verona, near Pittsburgh. 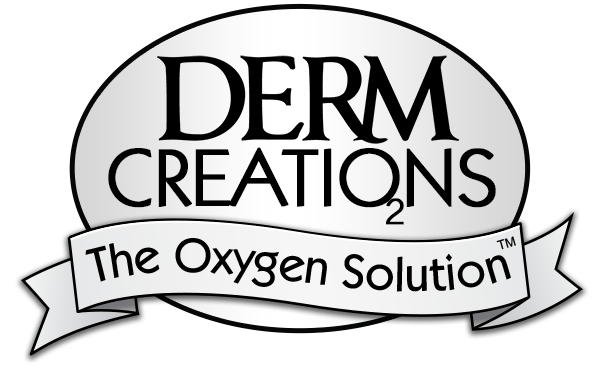 Working in conjunction with Derm Creations, LLC Laboratories, Dr. Eckert was able to formulate a topical gel with almost 20 times the oxygen level found in ordinary water, creating a stable oxygen suspension within a solution. When rubbed in to your pet’s skin and paws, it offers a rich source of molecular oxygen for cellular and soft-tissue uptake. Testimonials not only confirmed that we were on the right track, but showed that when applied to your pet’s skin as needed, our product helps with cysts, sprains, strains, muscle relief, itchiness, and general pain and skin irritations. In fact, the story of O2 Derm PET is the story of a whole family of products, safe, non-toxic gels that are made not only to aid the comfort of your pets but to beautify, relieve, and smooth your own skin as well.